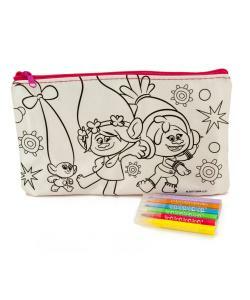 The Trolls Colour Your Own Pencil Case Set is perfect for your little Trolls fan to put their pens and pencils in. 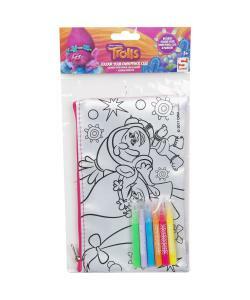 They can have fun colouring in the pencil case using the pens provided to make something truly unique! Once complete your little ones will be able to proudly stash their pens away and show off their handiwork at school. The kit includes six colourful felt tip pens and a pencil case - all you need to have a brand new and personal pencil storage container!